The B4 II is a tonewheel organ combo, completely capturing the sound of the classic B3 organ and rotating speaker. The B4 takes the popular tonewheel organ into new territory. 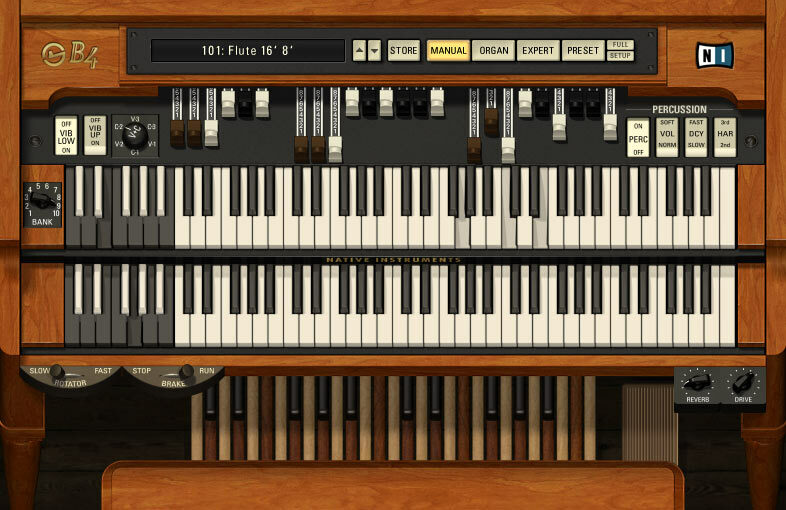 Added flexibility in sound generation and seamless integration into the recording environment make this possibly the best organ since the original. Warm Tubes: A tube amplifier modelled on the original rotary speaker amp has been added to the B4 II.